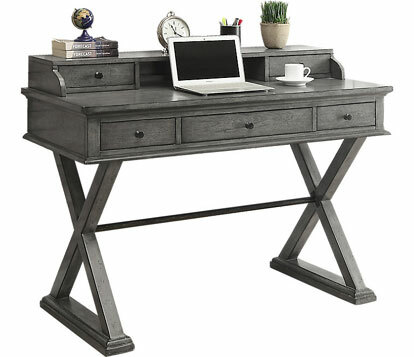 When looking for the right desk for a home office or study, most people are just as concerned with comfort as they are with style. You've probably heard that sitting incorrectly over long periods of time can have negative effects on your back, arms, and neck. While a chair can directly play into posture and well-being, the other major factor in ensuring a comfortable and healthy work life is the height of your desk. Although many desks come in a fairly narrow range of standard heights, the fact that people do not is a good indicator that some shopping around is required. Typical desk heights fall between 28 and 30 inches, which are designed to be ideal for people between 5'8" and 5'10". However, plenty of desks are also available from 22 all the way to 33 inches tall, and as adjustable models, leaving room for you to find your perfect fit. When looking at desk dimensions, you may run into two possible height measurements. One is the distance between the tabletop and the floor. 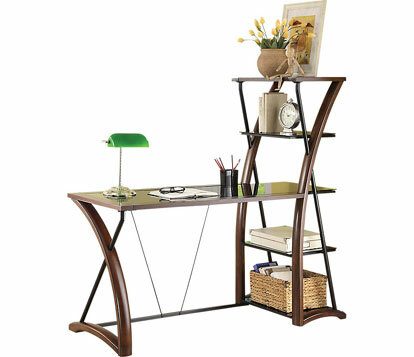 The other is the height of the desk overall, which may differ if the unit has a bookshelf or hutch attached. Models with this added space are ideal for cutting clutter and creating a commanding and classic style statement. However, keep in mind that desks with built-in storage also take up more space, so they have limited placement options. Desk heights can also vary widely depending on design. 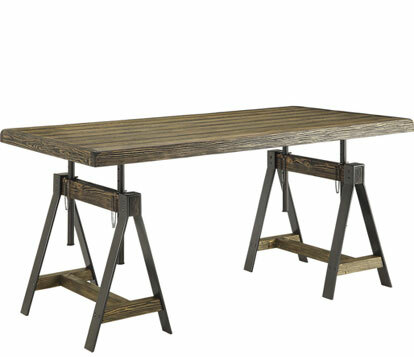 While most models are traditional seated desks, standing and adjustable pieces are also available. Typical desk height for standing models is from 35 to 47 inches tall, while adjustable desks can be modified to accommodate sitting or standing. While it might not seem like much, a few inches of variance in desk height can make a big difference to your long-term comfort. A simple test can determine whether any desk's height will work for you. Sitting or standing in the position you'd normally use to work, rest your arms at your sides. Keeping your elbows at a 90 degree angle and upper arms in line with your torso, you should be able to rest your hands comfortably palm down on the desk. If you're unsure what height of desk is right for you, try this with several desks and check the dimensions of any pieces that pass your test. 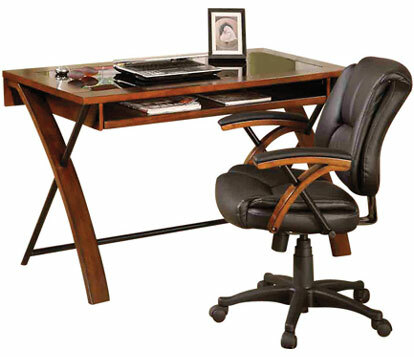 Depending on how you want to use your desk, a specific style may work best. For example, standing desks are ideal for people who need to spread out materials over a large area or do work involving weighted objects. On the other hand, seated desks are ideal for detailed work performed within 15 inches of the body such as arts and crafts, drawing, or typing. To avoid being inactive for hours at a time, adjustable sit-stand desks are a good option.While many people choose standing desks as a healthier alternative to sitting all day long, the truth is that either standing or sitting with no variety is harmful to your body over time. Sit-stand desks, while typically the most expensive, allow you to vary your posture throughout the day. These suggestions can also be adjusted to work with children. When it comes to desks for kids, the average desk height for adults will be far too tall. We don't need to make doing homework any less pleasant than it already is, so choose desks that are comfortable for their size to make kids more inclined to sit down and study. Pieces with about seven to eight inches between the seat of the chair and the underside of the table will provide plenty of wiggle room without being too tall.